Tim helps clarify recent Internet rumors about new B5 fanfic-based films being produced without JMS… JMS says “not happening”. 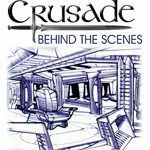 Interview: Tim and Summer chat with Troy Rutter, the original Babylon 5 website wrangler, and more! 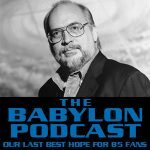 Troy tells us about the history of the Official B5 website, and his involvement from “The Gathering” on forward, including some rare early promotional items and online goodies, and the birth of “A Very Drazi Christmas”. Feedback: Gary lets folks know that the original version of “The Gathering” (first aired edit, Stewart Copeland’s music) is now available on Hulu; Gary wonders why Zoe appeared to Lochley, and Tim still refuses to embrace quantum physics as an explanation for what happened in “Day of the Dead”; Gary wishes for more “management level” interactions from Psi Corps; Doug from Bremerton reminds us that Bester has been fighting “the war” against mundanes for a very very long time prior to the events in “The Corps is Mother, The Corps is Father”; more commentary on the use of dentics in Farscape as an example of future dental hygiene. About Technomages: I agree with you, guys, that in the show they weren’t really developed into something that could impress the way it was supposed to and I’m thankful for the fanfic that did it instead. I really wish, though, that JMS would’ve used some of the ideas of the trilogy–I would’ve LOVED Technomages getting some substance on screen. There was, of course, Crusade, but even /there/ we didn’t get to see much other than Galen being a know-it-all smartass with “some sort of tragedy in his past” that you wouldn’t really understand unless you’ve read the trilogy. Pity I can’t get my hands on the Psi Corps books–I’d’ve liked to get a better feel and understanding of the organization, since we didn’t really get to make up our minds about it from the series. Corps was sort of equal to “Bester and how he sees everything” and now, after Tim’s remarks on the show, I’m realizing it’s not quite so (at least according to the Psi Corps books). I also think that they mention on the show when it is that Byron was Bester’s right hand and the timing of that incident that was the last drop for him, placing it around something like ten years ago from the current timeline of their butting heads on the station. I could be wrong about it, though. Why can’t you get your hands on the Psi Corps trilogy? None of those went out of print early, to my knowledge. They didn’t make it /here/, though, Summer. 🙁 I’m in Israel and sales of publishing in English is not a commonplace, but something this specific you have to order (and it’s still not a guarantee that the store will even be able to supply it). AND such things are very expensive. Le sigh. Yes, yes, I’m very interested! Thank you, Summer. I just watched the original Gathering on Hulu. I don’t know what JMS was talking about! I think the original cut is done very well. It flows much better than the newer one. And the original music fits the pace of the movie. So score two for the old version. However, I wholeheartedly agree with JMS on the Alien Sector’s disturbing resemblance to a zoo. That was awful. I think I’ve seen science fairs that had better thought out presentations than that! All in all, maybe the whole idea of the Alien Sector should have been flushed out more. Oh well, it was fun to watch in its infinite cheesiness! I’ve always had the impression that it was hard to get a hold of the second cut of “The Gathering” over here i Europe, as it is the only one we get on DVD (region 2). Bought the first cut from the states on region 1, so now I have both. And a region-free dvd-player. These were replaced in the subsequent version… but the original ones they sounded really strange. Like Tamlyn was trying to do a British accent or something. I really enjoyed the interview with Troy. I remember B5 on aol. I can’t claim to have been much of a B5 fan at that point in time, but I thought it’s presence was very ground breaking for its time. I enjoyed hearing about Quantium 40 being named by a fan, as well as the issue about guns in the publicity shots. I love those 360 pictures of the various sets Troy. It’s really late on my part but thanks for making them in the first place. This is where this show excels, not just in interviewing the stars, or jms, but talking to the other people that made B5 into what it was, and still is. I just ordered a used copy of Interacting with Babylon 5 – $0.12 plus $3.99 shipping. A great interview and it is great to see Troy’s sites. Thanks Neil and Gary – I was hoping it wouldnt be too boring to have me on, after all I wasn’t “allowed” to use my real name hardly at all while I worked on things for WB. The only real “credit” I got was a thank you in the Babylon 5 Soundtrack Volume 2 CD liner notes. I was hoping to go more into the filming of Long Twilight Struggle, especially the bombing of Narn, but we didn’t have time. The neat thing about it was they had an entire section of the sound stage cornered off with 2x4s, and a bunch of wired lights and flashbulbs hooked up to another “board” with terminals. When the director yelled “action” – they turned on a fog machine that quickly covered the floor. Then they turned on some of the christmas tree lights to resemble cities. Then, as the “mass drivers” were supposed to be hitting, the guy at the 2×4 with the terminals would stroke a simple nail over the terminals, causing the flashbulbs to “burst” and those were the explosions. It was really neat to see. 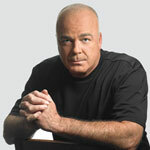 Just started checking out babylon5fans.com, and it’s so cool to see stuff I haven’t encountered before, including the interviews and the panoramic views. Thanks for letting us know about the site. Welcome, Pete. I actually have a lot more chat logs to post and folder logs from the Message Boards if I ever get time to format the things.